This week marked the opening of the state legislative session in Olympia. We’re optimistic about making progress for people and nature through our advocacy efforts this year. Our top priorities for the 2019 Legislature touch upon all our work, and all our lives, whether we live in the Palouse, along the coast, or in between. They include tackling climate change, protecting the natural and cultural wealth that makes Washington special, and improving equity in environmental policymaking so that all of us can benefit from cleaner, healthier air and water. The Snoqualmie River flows from the Cascades to form the Snohomish River before emptying into Puget Sound. We’re encouraging legislative support for the Floodplains by Design program, which focuses on the interconnectedness of all who rely on Washington’s healthy rivers. Photo by Paul Joseph Brown. It’s a big to-do list, and we won’t do it alone. We advocate alongside dozens of partner organizations with similar priorities. As a member of the Environmental Priorities Coalition, for example, we join with other environmental groups to support legislation for the benefit of people and nature statewide. Curious about the Environmental Priorities Coalition? Check out the Environmental Priorities Coalition page to learn about the group’s top priorities for this year and sign up for an opportunity to visit Olympia on the Coalition’s Lobby Day January 29. Tackling climate change: With an amazing coalition built around Initiative 1631 over the past two years, we are part of strong, diverse group of organizations poised to engage in support of smart, equitable, forward-thinking climate policy, this time in the Legislature. Enjoying the sea stacks at La Push on Washington’s spectacular coast. Support for vibrant coastal ecosystems, economies and communities is key to our legislative agenda this year. Photo by Lauren Owens. An exciting public-private partnership to clean polluted stormwater runoff using green infrastructure – first at the base of Seattle’s Aurora Bridge, then at sites around the Sound. An integrated approach to managing our floodplains for the benefit of everyone who lives and works in our river valleys, from farmers to homeowners to salmon. The Floodplains by Design program shows that an integrated, cooperative approach to flood risk reduction and habitat restoration is the way forward, and we’re advocating for capital-budget support for Floodplains projects from Walla Walla to the Nooksack. The burgeoning economic potential in restoration jobs along our Coast. 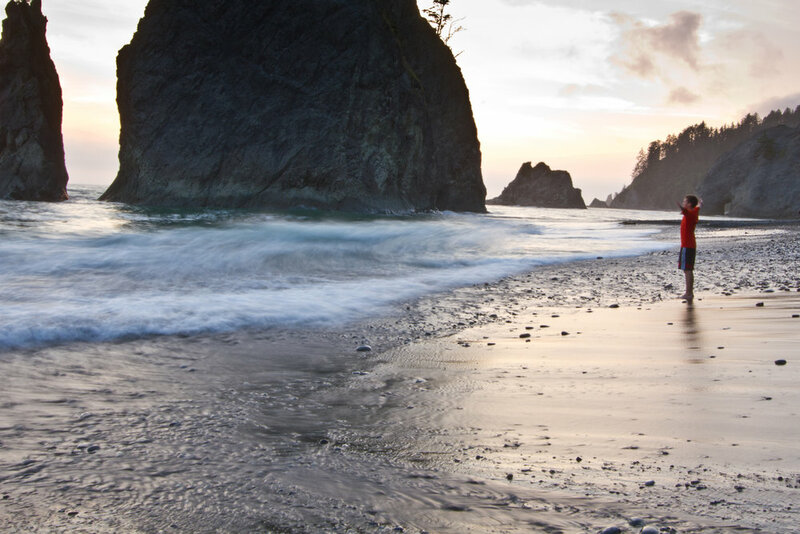 The Washington Coast Restoration and Resiliency Initiative (WCRRI) supports natural-resource jobs that restore salmon habitat, remove invasive species, enhance public access to outdoor recreation opportunities and encourage community connections. Increased community wildfire resilience, through the Department of Natural Resources’ budget request for funding to support prescribed fire, training, community engagement and cross-agency collaboration as outlined in its 20-Year Forest Health Plan. Read more from our friends Reese Lolley and Kara Karboski at the Fire Adapted Communities Learning Network on their blog: New Mandates and Funding Steer Washington Toward a Better Wildfire Future. Community forests, working forests owned and managed on behalf of a community for the protection of forestry jobs, public access and recreation, clean water, fish and wildlife habitat and climate resilience. A prescribed burn in the Ponderosa pines of Okanogan County. Prescribed fire is an essential tool for forest health in Washington and a top policy priority for us. Photo by John Marshall. Want more from the Washington Prescribed Fire Council? Subscribe to the Fire Adapted Communities Learning Network's blog to have stories delivered to your inbox weekly. Improving equity in environmental policy: Our friends at Front and Centered recently released the impressive – and sobering – Washington Environmental Health Disparities Map, in collaboration with the University of Washington and several state agencies, including the Department of Health. The mapping tool will help inform public policy decisions about prioritizing resources and ensuring all Washingtonians can better benefit from investments in our shared natural resources. We’re asking the Legislature to support the Healthy Environment for All (HEAL) Act this year as part of a movement toward environmental justice. … Among many more: In addition to these priorities, we advocate in support of established environmental programs that benefit people and nature across Washington. 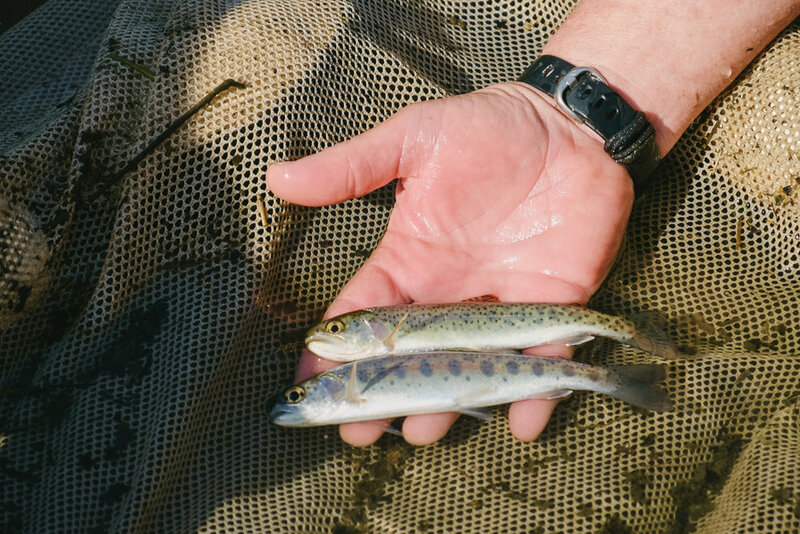 We support critical salmon-recovery programs in the capital budget, restoring funding for community flood mitigation grants and agency requests for forest health and wildlife habitat restoration needs. On the policy side, we’re part of coalitions supporting new orca recovery measures and fire protection for rural areas. Spring Chinook salmon are counted in Puget Sound’s Fisher Slough. Salmon recovery is woven through our priorities this and every year. Photo by Julie Morse. And that’s just in Washington state! Our federal legislative agenda is another animal. Stay tuned for details on our priorities for the 116th Congress in the coming weeks. Meanwhile, keep up with our progress in Olympia by signing up for our email list below and following us on Facebook and Twitter.